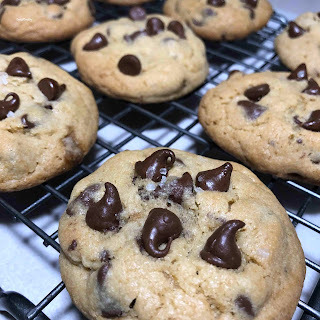 I was craving cookies the other day, so I searched for a recipe for Salted Chocolate Chip Cookies. 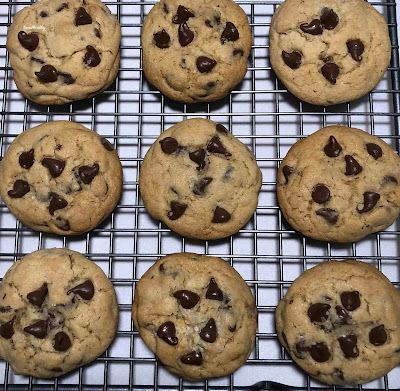 The cookie turned out just the way I like my cookies - crispy on the outside, but chewy on the inside, and with just a touch of saltiness. One of these days I'm going to have to buy really good chocolate and hopefully the cookies will turn out as amazing as some of the ones I've had in restaurants, but until then, regular semi-sweet morsels were just fine. 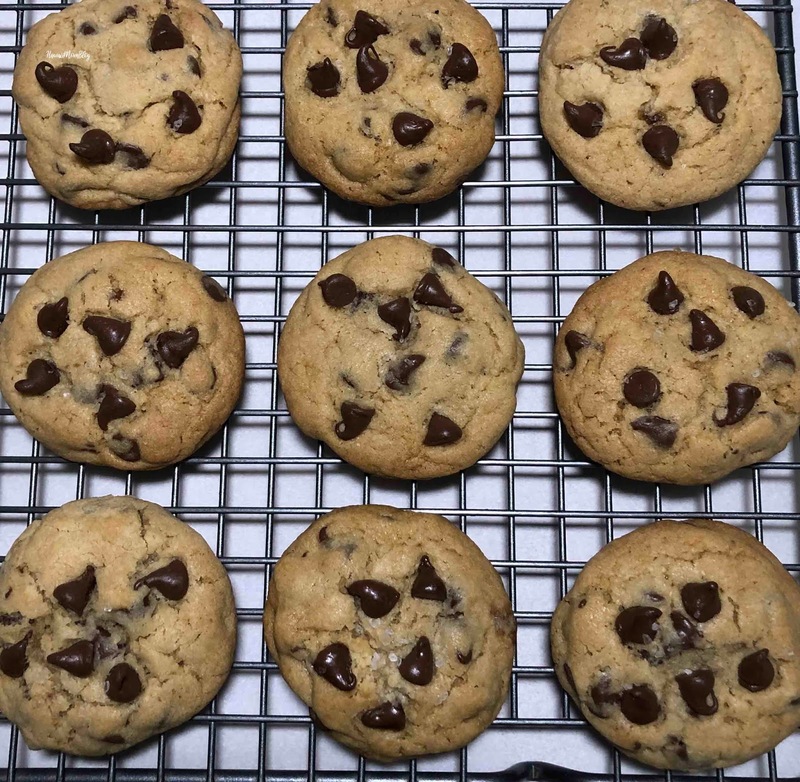 These cookies definitely satisfied my craving! In a large bowl, cream the butter, granulated sugar, and brown sugars. Drop 2 tablespoons of dough onto a parchment-lined baking sheet and bake for 15 minutes. You can find the original recipe here on The Daily Meal.